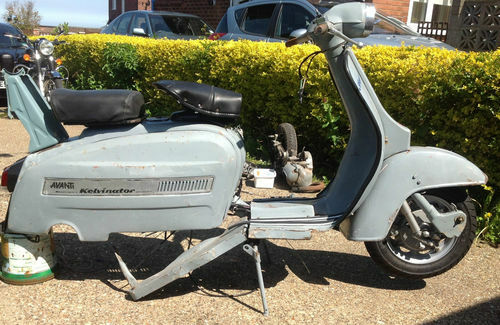 So, I know the name Kelvinator… they make fridges, freezers… that sort of stuff right… oh yeah, and Lambrettas. Of a sort. Well to be honest, I didn’t know that last bit. So, as well as companies like SIL and API, and even Vijai that I know were making Lambrettas under license in the subcontinent, so was a international maker of white goods. Weird. And there’s one for sale on eBay. Ok, it’s in bits… and it suffers from many of the same ‘styling issues’ as the Lamby Polo that I posted about previously… but for some reason I don’t mind the look of this one so much. Maybe it’s because the paint isn’t so lairy. Or the panels are a bit better. The V*spa style headlight is weird, but not too ugly… and it has got a similar horrible (imho) PX / Polo style horncasting. 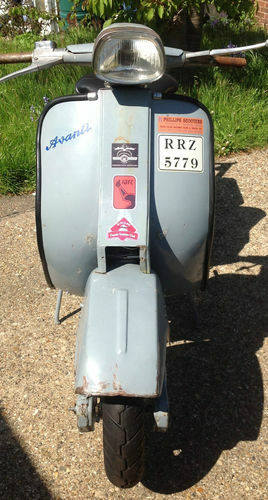 But if you can live with all that, and you fancy a proper ‘curryburner’ with a difference, you can buy it on eBay, here. And it’s cheap for Lammie. 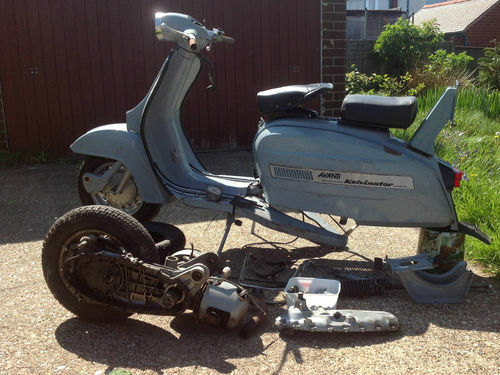 This entry was posted in For Sale, Scooters and tagged API, India, Kelvinator, Lambretta, Lamby, Major appliance, Polo, Refrigerator, SIL by crocodilejock. Bookmark the permalink. Is the parts of Avanti (All models) available in India. Would love to see that Didier! Send me some pictures to mrlambrettista@gmail.com and I’ll put them up on the blog!